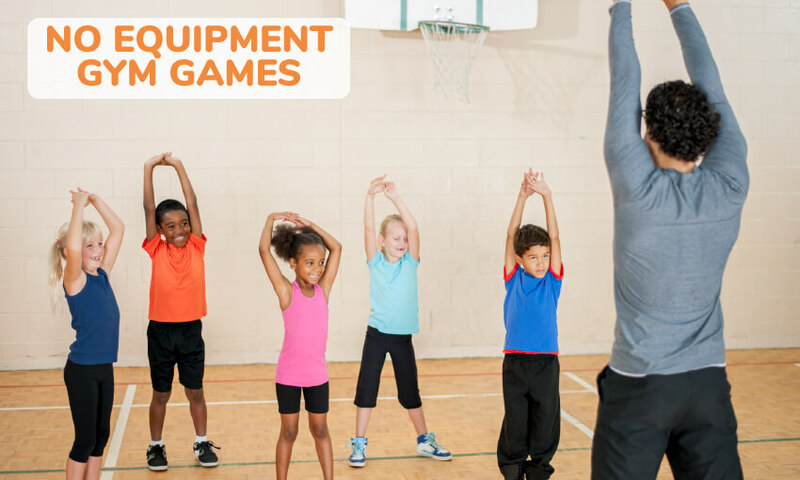 Learning some fun PE games that don’t need equipment can be very useful for busy PE teachers, parents and child care professionals. 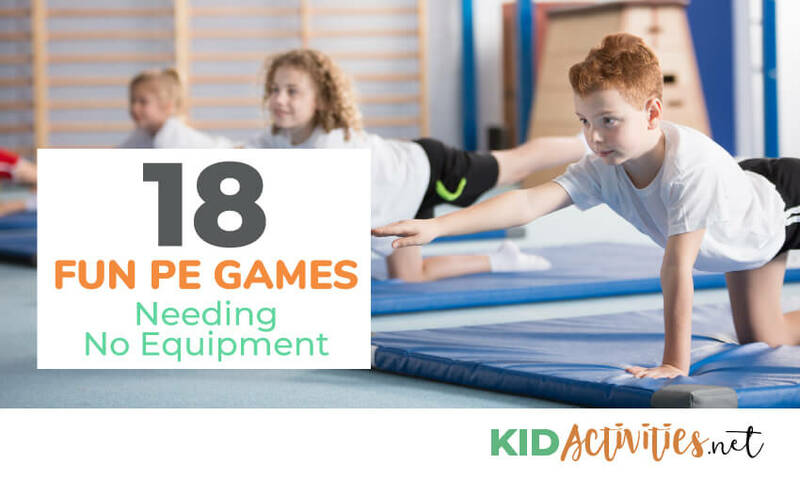 They can help you provide the children you are caring for with fun activities that improve their fitness – without the need to pull out a cupboard full of equipment. PE games that don’t need equipment are also useful as impromptu activities at BBQs, parties, and trips away. 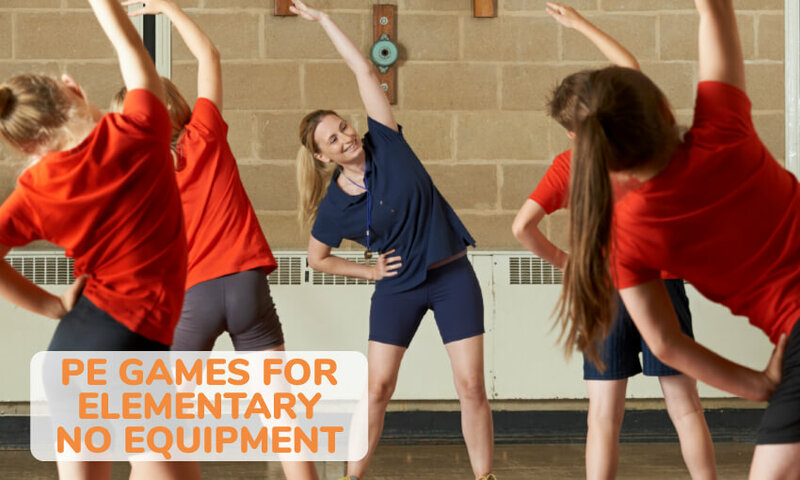 In this guide, I will be sharing 18 of the best PE games needing no equipment. This classic game is a lot of fun and easy to learn. In Red Rover, the participants are split into two teams of equal size that form two lines opposite each other. The members of each team will hold hands. Each team will choose a player from the opposing team, saying “Red Rover Red Rover, send Peter over” to nominate Peter. Peter then has to let go of his team mates hands and attempt to run through the other team’s line, breaking their hold on each other. If he manages to do so, he will choose a player from the opposing team to join his team’s line. If Peter fails to break through the line, he will be forced to join the opposition team’s line. The teams will alternate turns with the winner being the team that ends up with all of the players. Because all players will end up on the winning team, there are no losers in this game. Captain’s Orders is the perfect choice for a competitive group of kids who want to outdo each other. It can really test your student’s endurance levels and improve their fitness. The game begins with one person being nominated to be the “Captain”. They must give out commands to the crew (the rest of the PE class). The crew must run to the left (port) or right (starboard) sides of the room and touch the wall. You could have the crew members stand at attention after completing each task, which will make the more competitive students attempt to beat each other. After a few minutes, change captains so a few children get a chance to be in command. Running relay races are one of the simplest PE games needing no equipment. Take the class outside and divide them into groups of 3 or 4 people each. Have them run 100 to 200 metres each before moving on to the next person in the relay. The mix-it-up relay race is fun variation of a normal relay running race. In a mix-it-up race, each person in a relay team will perform a different action. The first person may have to skip, the second may have to run backwards, the third can run normally, and the fourth can hop. This makes the race more exciting and enjoyable to watch. There are many fun variations of tag that are useful for PE classes. In “Cops and Robbers”, the PE class is divided into two teams — the cop team and the robber team. The cops will pursue the robbers to tag them. Once a robber is tagged, they must go to a section of the playing area that has been nominated as the “jail”. Robbers who have not been tagged can release their team mates by sneaking into the jail and tagging them. The game is complete when the cops have managed to round up all of the robbers. Playing this game in an outdoor area with plenty of places to hide can make it even more enjoyable. This activity is very challenging and a lot of fun. It’s best suited for fit students with decent upper body strength. Split the group up into teams of two people that will stand on one side of the gymnasium. Each team will have one person go into plank position while the other grabs them by the ankles. When you say “Go” the person in plank position will go into pushup position while the person holding their ankles lifts them — forming a wheelbarrow. They will attempt to walk the wheelbarrow to the other side of the room. Once there, they will touch the wall and switch roles before racing back. The first team back to the starting point wins. Duck Dusk Goose is a wonderful PE game for younger children. The rules are simple and they will get plenty of exercise. Start by having the children sit in a circle facing the middle. Nominate one person as “it”. They will walk around the circle touching each person on the shoulder and saying if they are a duck or a goose. If the person is nominated as being a duck, they remain seated. However, when someone is nominated as being a Goose, they must get up and chase “it” around the circle and tag them before they make it to the empty spot where the Goose was sitting. There are many advantages to teaching basic gymnastic techniques in the classroom. Headstands and handstands are a particularly useful gymnastic skill that can be practiced indoors on carpet or outdoors on grass. Begin by teaching students correct headstand form — from getting into a correct starting position to eventually lifting their legs and completing the move. Once they understand the basics and know how to perform a headstand safely, have them split into pairs for practice. One student in each pair should be a “spotter” who helps the other student with their form and holds their legs. After they they have performed a few headstands have them switch roles. Move onto the handstands next, with groups of three (one person practicing and two to hold their legs). If you are performing this activity outdoors, use trees to prevent students from overbalancing. This simple game is a great way for kids to have some fun while testing their athleticism. Have the children split into groups of two and stand next to a brick wall. Have them jump as high as they can, touching the highest brick they can reach with their hand. Each child gets 3 jumps. The highest jumper in each pair gets to go through to the next group, were they are paired off again and will get another three jumps. Eventually, you will discover who the highest jumper in the group is. You could also have a standing long jump competition to see who can jump the furthest. British Bulldogs is a classic version of tag and one of the most popular equipment-free PE games. This game is also commonly known as “Bullrush” and “Cats and Mice”. The game starts with all of the players at one end of a playing area. A basketball court works well for small groups, while half a soccer or football field is better for larger groups. One player is selected to be “it”. They will wait in the middle of the playing area. When you say go, the children will attempt to run from one side of the playing area to the other without being tagged. If they are tagged, they will join the “It’ player in the centre of the playing area. This is another classic game that young children love. It is easy to incorporate it into a PE class and everyone will know the rules. Start by either choosing a player to be “Simon” or by nominating yourself to play this role (usually better as you can then choose appropriate PE activities). The students must follow the directives given by “Simon” as long as he starts each one with “Simon says…”. If a student accidentally carries out a directive that does not start with “Simon says…” they are out of the game. You could mix up fun directives like “Simon says bark like a dog” with “Simon says, do 5 pushups” to get the PE component into the game. The winner of the game is the last person who has successfully followed all of Simon’s orders. They get to become the next “Simon”. Have the students split into groups of 3-4 children each and ask them to devise a short gymnastic routine that shows off their skills. Encourage them to do their best, but remind them to only perform stunts they are comfortable with. During the next 10 minutes, walk between the groups and help them plan their routines, suggesting gymnastic feats appropriate for their skill levels. Remind them that they can help each other perform their rolls, handstands, and jumps. After the 10 minutes has expired, have the groups perform their routines for each other. This fun PE game can be enjoyed by children of all ages. Have your students split into groups of 2 (ideally, about the same height). Each group must race over a course that is 50 yards in length. However, they will have to cover the course by leap frogging each other! If some kids have trouble jumping over their partner, let to do a couple of jump squats next to their partner instead. To make the race more challenging, you could include “exercise pit stops” along the way. At each exercise pit stop, the children will have to perform a certain number of exercises. This could be star jumps, pushups, burpees, or whatever exercise you think the children would benefit from. This is a very challenging fitness game shared by Games Fitness. The class is split into any number of teams that are the same size, with a minimum of 4 players per team. If a team doesn’t have the same number of players, you may have to alter how many repetitions of exercise they perform to keep the game fair. Have each team sit lengthwise in a straight line, about one arms length from the next person in their team. So, if you have 5 teams, you should have five lines of people. You will give players in specific positions a designation of “fuse” or “dynamite” for each round. For example, you might say players 1 and 2 in each group are fuses, followed by one dynamite player, one more fuse player, and a final dynamite player. There can be any number of fuse and dynamite players in each row. The game starts with all players in a plank position. When you say “Light the dynamite!“, the first player is activated. If they are a fuse player, they will immediately flip over and do 10 sit-ups then tag the next player in the line to activate them. The fuse player will hold a V-hold position after doing their sit-ups — which means they are an activated fuse. If the next player is a fuse, they will do their sit-ups also. However, if the next player is a dynamite player, all of the dynamite players in the team must jump up and do 20 burpees. The first team to finish their chain of fuses and dynamite is the winner. You can alter the types of exercises used and the number of repetitions for each exercise to make the game harder or easier. I, Spy is a favourite game of children everywhere. One person will identify a physical object that is visible nearby and everyone else will have to guess what it is, using a series of questions. This game combines I, Spy with 20 Questions to provide the kids in your PE class with an excellent workout. PE Teacher: I’ve identified an object, your turn to guess – starting with Pete. Pete: Is it an animal? PE Teacher: No! Do 3 pushups everyone. Next question please Sam. PE Teacher: No! Do 5 pushups everyone. Next question please Rebecca. Rebecca: Is it made of wood? PE Teacher: Yes! It is partially made from wood. Next question please Mark. Mark: Is it a basketball ring? This is a challenging game that will test the fitness of students and force them to work as a team. Divide the class into teams of at least 5 people each. Have each team line up alongside each other in separate rows and nominate a finish line for the race. When you say “Go”, all players will go into plank position except for the player furthest away from the finish line. They will move to the front of their team (closest to the finish line) and enter into plank position. Once they have started to plank, they will yell “go!” and the next player will move from the rear to the front. This is repeated until the group reaches the finish line. As the effects of being in plank position begin to kick in, the team’s players will be yelling at everyone to hurry up! This is a super fun PE game that young children will love. The objective of funny running is to get from one side of the gymnasium to the other while running like an animal. You can choose a different animal for each pass, including monkeys, snakes, horses, and kangaroos. You can also have the kids run across the gymnasium while performing a funny dance like the Floss Dance or teach them some disco moves. Put some catch music on and they will have the time of their lives as they exercise! Jump is another simple game that is ideal for young children’s PE classes. Have the kids line up against one wall of the gymnasium or on a boundary line of the sporting field. Then, simply yell out “1 Jump” and the kids can take the biggest jump forward they can do from a standing start. You can vary this by change the number of jumps you allow each time and sometimes throwing in “Steps”. This exhausting game will help you discover which kids are the fastest in the class. Have your students line up against a wall of the gymnasium. When you say “Ready, Go!”, they will run to the other wall. If you say “Ready, Go!” again while they are running towards the wall, they must turn back and reach the wall that they came from. If you blow your whistle, any student who hasn’t reached the wall will be eliminated. Eventually, you will only have a small number of children left in the group. I hope you found 18 Fun PE Games Needing No Equipment. Bookmark our website for more fun PE activities for kids.